The transition from light bulbs to LEDs has drastically cut the amount of electricity we use for lighting. Most of the electricity consumed by incandescent bulbs was, after all, dissipated as heat. We may now be on the verge of a comparable breakthrough in electronic computer components. Up to now, these have been run on electricity, generating unwanted heat. If spin current were employed instead, computers and similar devices could be operated in a much more energy-efficient manner. Dr. Olena Gomonay from Johannes Gutenberg University Mainz (JGU) in Germany and her team together with Professor Eiji Saitoh from the Advanced Institute for Materials Research (AIMR) at Tohoku University in Japan and his work group have now discovered an effect that could make such a transition to spin current a reality. This effect significantly simplifies the design of fundamental spintronic components. Touching a computer that has been running for some time, you will feel heat. This heat is an undesirable side effect of the electric current. Undesirable because the heat generated, naturally, also consumes energy. We are all familiar with this effect from light bulbs, which became so hot after being on for hours that they could burn your fingers. This is because light bulbs converted only a fraction of the energy required to do their job of creating light. The energy used by LEDs, on the other hand, is almost completely used for lighting, which is why they don't become hot. This makes LEDs significantly more energy-efficient than traditional incandescent bulbs. Instead of using an electric current composed of charged particles, a computer using a stream of particles with a spin other than zero could manipulate the material of its components in the same way to perform calculations. The primary difference is that no heat is generated, the processes are much more energy-efficient. Dr. Olena Gomonay from Mainz University and Professor Eiji Saitoh from Tohoku University have now laid the foundations for using these spin currents. More precisely, they have used the concept of spin currents and applied it to a specific material. Gomonay compares the spin currents involved with how our brains work: "Our brains process immeasurable amounts of information, but they don't heat up in the process. Nature is, therefore, way ahead of us." The team from Mainz is hoping to emulate this model. How well spin currents flow depends on the material—just like in the case of electric current. While spin currents can always flow in ferromagnetic materials, in antiferromagnetic materials states with low resistance alternate with those with high resistance. "We have now found a way to control spin currents by means of a magnetic field and temperature, in other words, to control the resistance of an antiferromagnetic system based on spin," explained Gomonay, summarizing her results. At a temperature close to the phase transition temperature, Gomonay and her team applied a small magnetic field to the material. While the applied magnetic field alters the orientation of the spin currents to allow them to be easily transported through the material, the temperature has precisely two effects. On the one hand, a higher temperature causes more particles of the material to be in excited states, meaning there are more spin carriers that can be transported, which makes spin transport easier. On the other hand, the high temperature makes it possible to operate at a low magnetic field. Thus, the resistance and the current flow change drastically by several orders of magnitude. 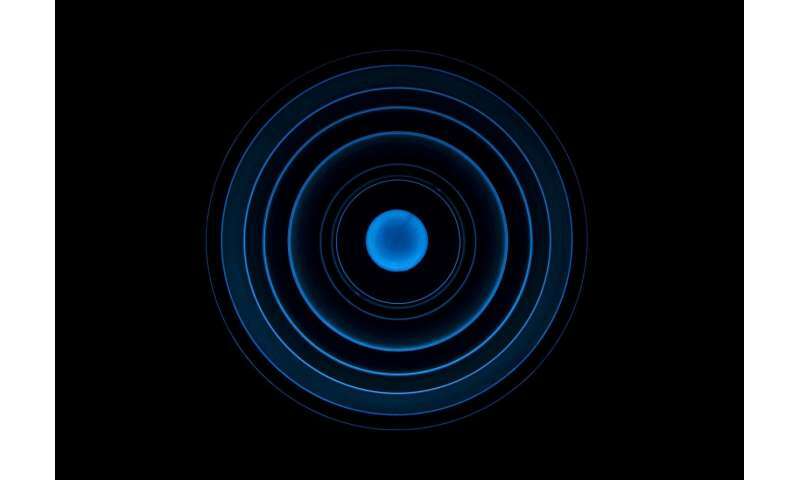 "This effect, which we call spin colossal magnetoresistance or SCMR for short, has the potential to simplify the design of fundamental spintronic components significantly," explained the scientist from Mainz. This is particularly interesting for storage devices such as hard disks. This effect might be employed, for example, to create spin current switches as well as spin current based storage media.